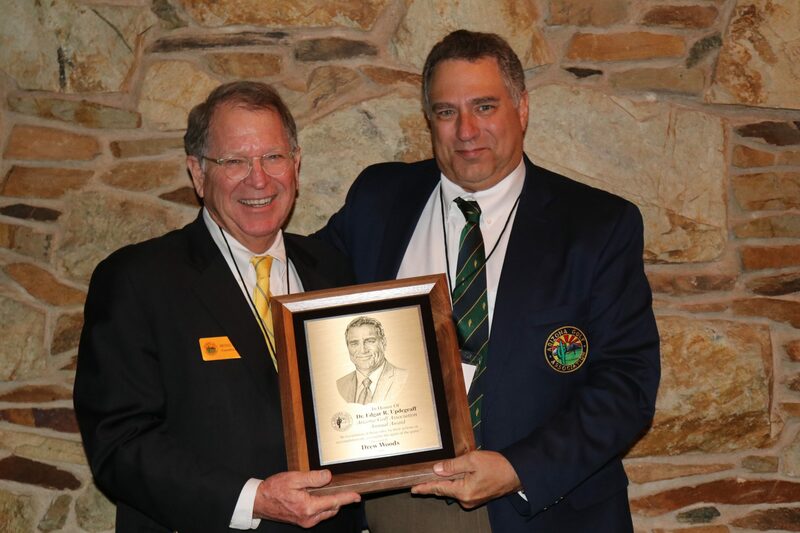 Over the past seventeen years, he has served the AGA in almost every capacity, from course rating and tournament services, to Executive Committee and President. 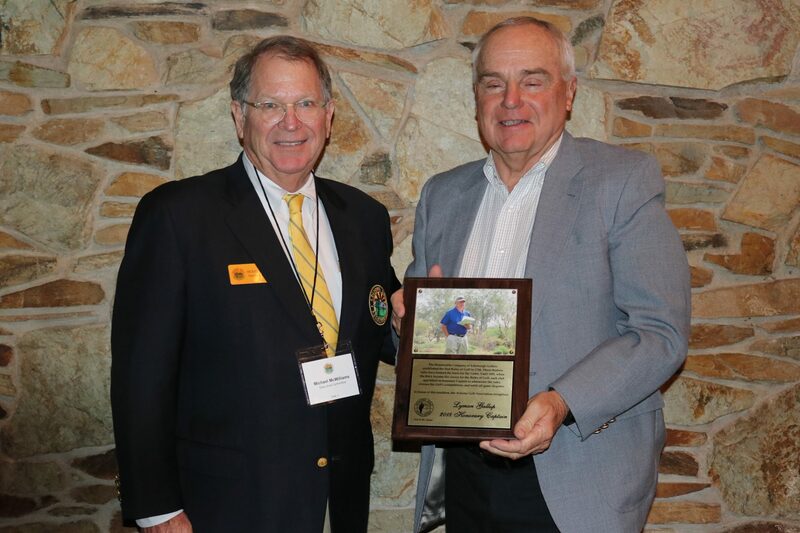 AGA service has not defined his golf contributions solely, as Drew has also served the USGA as a Committeeman and his club as handicap chairman. He has assisted with marking golf courses, fixing handicap computers, served as a starter & rules official for multiple collegiate events each year, and as President of the Pacific Coast Golf Association which operates one of America’s premier amateur Championships. He, along with his wife Janice, have played a significant role with the Patriot All-America since its inception. 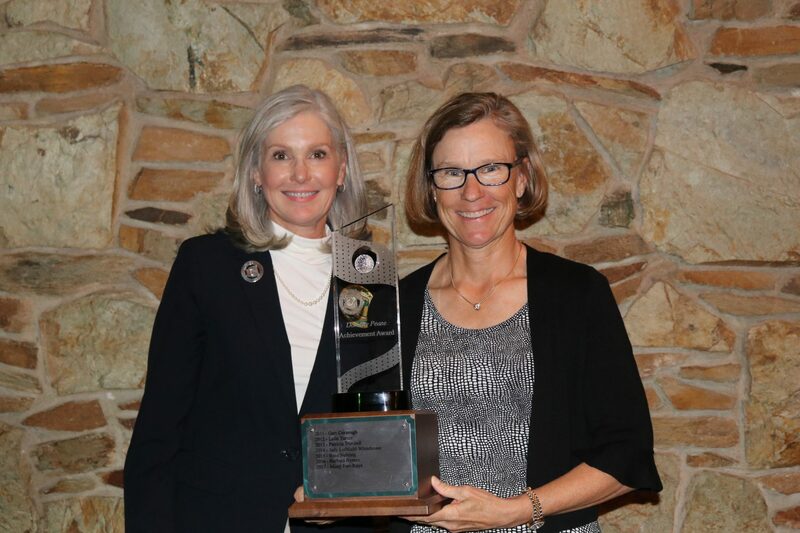 The Champion of Golf Award is given annually to a person “who by his or her accomplishments has unselfishly created lasting benefit to the Game of Golf in Arizona. As a member of Phoenix Country Club since 2005, John spearheaded the club’s development of History Week which celebrates the rich history of the Phoenix Open when it was hosted over 40 times between 1932-1986 at Phoenix Country Club. On top of the immense success of History Week, John played an instrumental role in bringing the Goldwater Cup back to Phoenix Country Club while also helping to secure the club’s 10-year contract to host the Charles Schwab Cup Championship.John has served on countless committees within PCC and currently serves on the Board of Directors. John also supports the PCC Foundation’s involvement with organizations like Elevate Phoenix that gives back to at risk children around Phoenix. 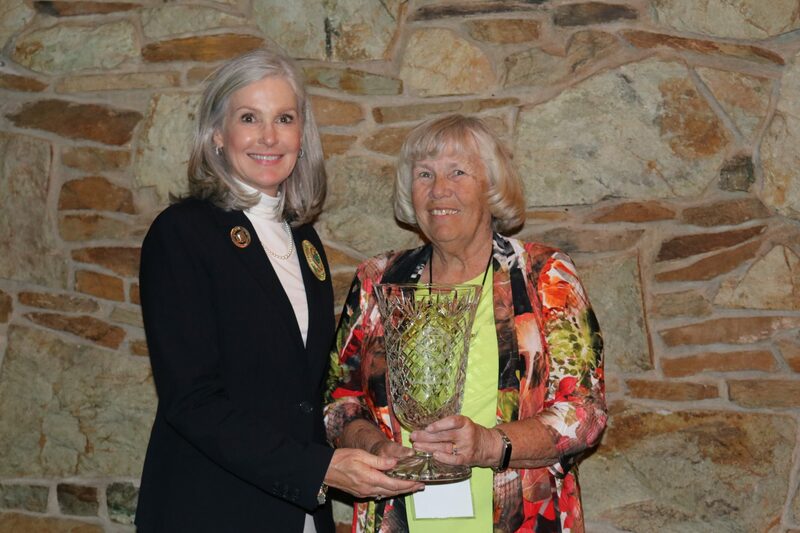 The Doc Graves Award is presented by AGA staff annually to a person whose volunteer hours and contributions have creating lasting benefit to the AGA and its members. Upon attending a Handicap Certification Seminar taught by AGA’s Derek McKenzie, Jeff was given the opportunity to learn Course Rating as an AGA volunteer. Since then, he has committed nearly a decade of time to assist in rating Arizona’s golf courses. In 2007, he became a Greens Chairman for the Arizona Sunset Golf Association and developed a greater interest in volunteering for golf. Since 2009, Jeff has been continuing to increase the amount of time spent volunteering for golf. He has attended several local course rating seminars and represented Arizona in two USGA National Course Calibration Seminars. He has rated nearly 150 courses across the valley, accumulating over 7,000 miles of travel. Ever since the dawn of the Rules of Golf in 1744 clubs have selected Captains to oversee the Rules and Competitions during a given year. 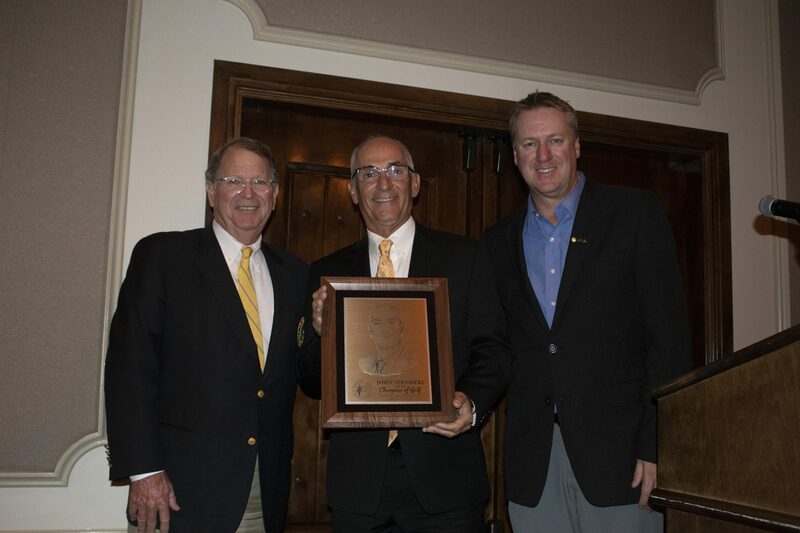 At the suggestion of AGA and Gallery Golf Club member Charlie Horn, the AGA inaugurated the Honorary Captain Award in 2013 to recognize those with dedicated Rules Official service to the AGA and its Championships. 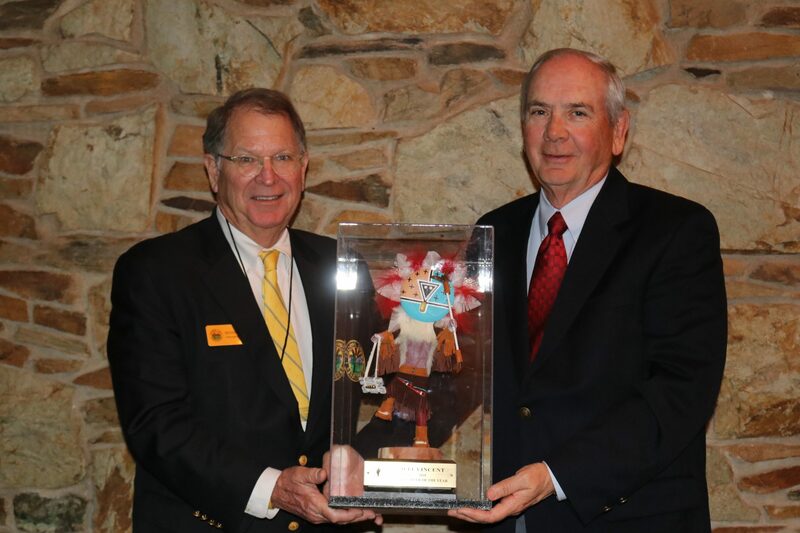 In honor of this Tradition, and thanks to the ingenuity and generosity of AGA member Charlie Horn, the AGA recognizes Lyman Gallup for his many years of service to the Association and its Championships, for his passion and dedication to the principles of the Rules of Golf and, most particularly, for his avowed love of The Game. Tina turned professional after college and during her rookie year on Tour became a Rolex First-Time Winner with her wire-to-wire victory at the 1989 Mitsubishi Motors Ocean State Open. Tina came close to other majors, finishing the 1998 Japan Classic and 1999 Michelob Light Classic as runner-up after taking both championships to three playoff holes. Tina notched 53 top-ten finishes in 19 years on the LPGA Tour, made 331 out of 466 cuts (71%), earned over $3M, and at one point led the tour in driving accuracy. She says the best part of her career was traveling internationally and making lifelong friends. After leaving the Tour, Tina took a year off before gravitating to a new career that has made a tremendous impact on golf in Arizona. Tina joined The First Tee of Phoenix where she could teach Arizona’s juniors the life skills inherent to the game of golf. After a number of years involved with Curriculum, Site Coordination and Outreach, she became their Director of Programming and Special Events, conducting countless golf clinics for kids ages 7-17. But for Tina, the clinics and other programs were about more than just golf, they were instrumental in educating and empowering tomorrow’s athletes. Inspiring kids to be part of a community and giving them a solid foundation for college and later life was her primary goal. After nine successful years at The First Tee, Tina moved on and is currently the full-time Assistant Men’s and Women’s Golf Coach at Ottawa University of Arizona. At OUAZ she uses her past experiences to give students the resources and support needed for success in golf and life. Tina currently volunteers with Cori Matheson at the LPGA*USGA Girls Golf of Phoenix when time permits. She is a Program Ambassador and Cori alls her their “VP of FAQ” for her in-depth knowledge of the game. Twyla is an active member of three clubs in Southern Arizona, the San Ignacio Golf Club Ladies Golf Association, the Canoa Ranch Women’s Golf Association, and the Southern District Women’s Golf Association. She has been the Club Representative at San Ignacio for six years and was a Southern District Representative for six years. Twyla attends all Southern Arizona meetings that the association offers, even if she has already attended the same meeting at another location.In her spare time, Twyla volunteers for the LPGA*USGA Girls Golf of Tucson program, the Southern District, and she has a long history of volunteering for every AWGA tournament held in the Tucson/Green Valley area. Kathy Ehrlich, for whom this award was named, was a dedicated, energetic volunteer who served on the AWGA Board of Directors from 2004 to 2012(President from 2009-2010) and on the AGA Executive Committee from 2012-2013. She was involved with numerous committees at the state and national levels as well. Jan has been an active volunteer for the AWGA since 2014. As an active Tournament Official (TO) Jan accepted the additional responsibility of serving as the Tournament Committee Chair in 2018. 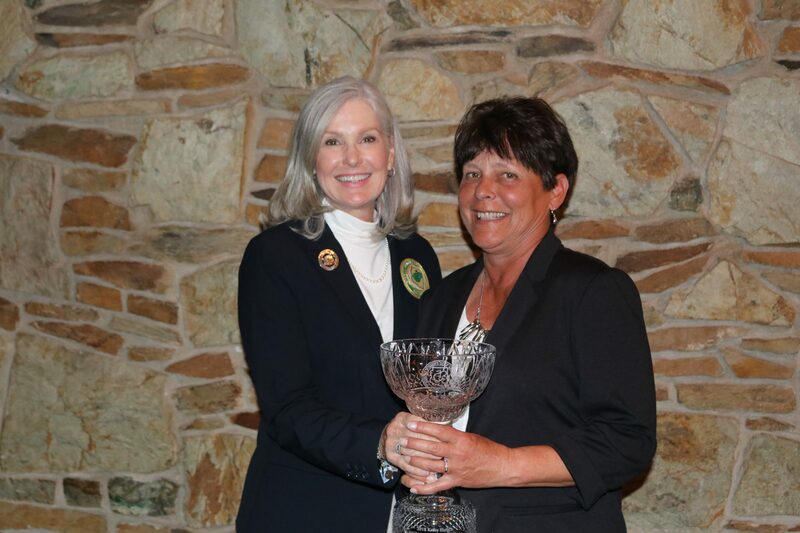 In this role, she helped recruit and train additional Tournament Officials as well as serving as the Tournament Official at seven AWGA Championships and Tournaments this season (including a playing TO at the State Senior Championship). For the remaining four events where she was not an on-site TO, Jan recruited TOs from our committee to serve at those events.